The name PERFECTION has a real and important meaning to us. Our aim is, and always has been, to achieve perfection in the engineering and production of both standard and special press brake die designs. The very exacting requirements of modern industry are a challenge to precision engineering; yet at PERFECTION every product is guaranteed to perform as specified by the customer. The material in our dies is a high carbon steel designed to resist compression and abrasion. It assures better performance and longer service and can be heat treated or not, as per customer specification. PERFECTION’S complete stock of standard dies.. the largest on the West Coast… assures an answer to the needs of industry, large and small. 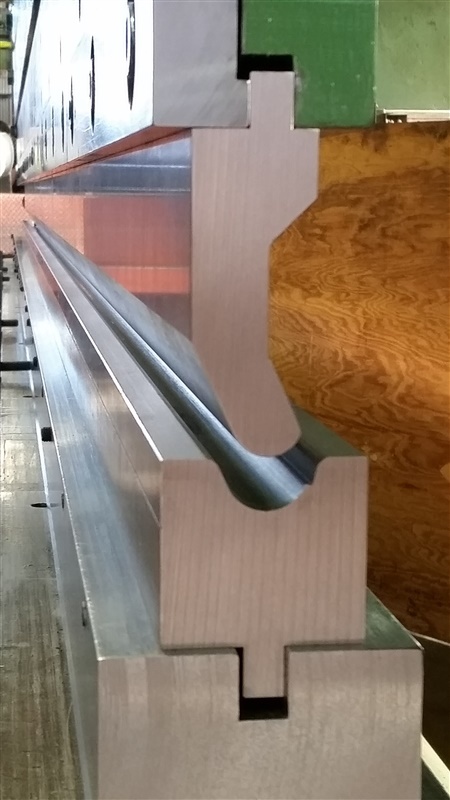 Whatever your need, you can order a PERFECTION Press Brake Die to meet them. The experience and know-how of PERFECTION’S entire organization is at your disposal, prepared to work with you in any way that may be of service. PERFECTION MACHINE & TOOL WORKS designs and manufactures general and special purpose press brake dies that, with proper guarding, will safely produce parts for our customers. It is understood that Perfection Machine & Tool Works cannot ensure that the press brake operator is properly trained and that the press brake complies with safety regulations. It is the employer/user’s responsibility to meet the requirements of ANSI B11.3 and of all Local, State, and Federal safety codes that apply.